I have so many and always have them lit around the house. They make me feel so warm and cosy. I will sometimes buy a candle just because of the pretty container it comes in. But when this candle has been burnt out and finished, i am reluctant to throw it away. 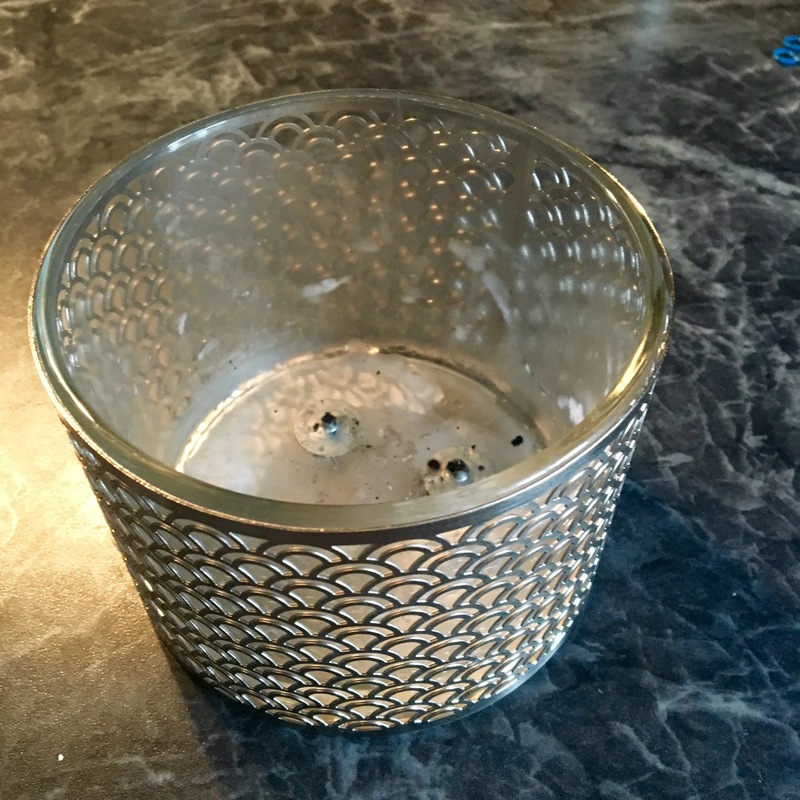 Here I will guide you through, how you can re-use your pretty containers or even re-use a candle which has not burnt all the way and wasted wax up the sides. To start, I found a candle which I could no longer burn as the wick had finished and warmed this up slightly to loosen the wax inside. You can warm this up, by placing it above boiling water in a saucepan, or put in the microwave for 10-15 seconds. 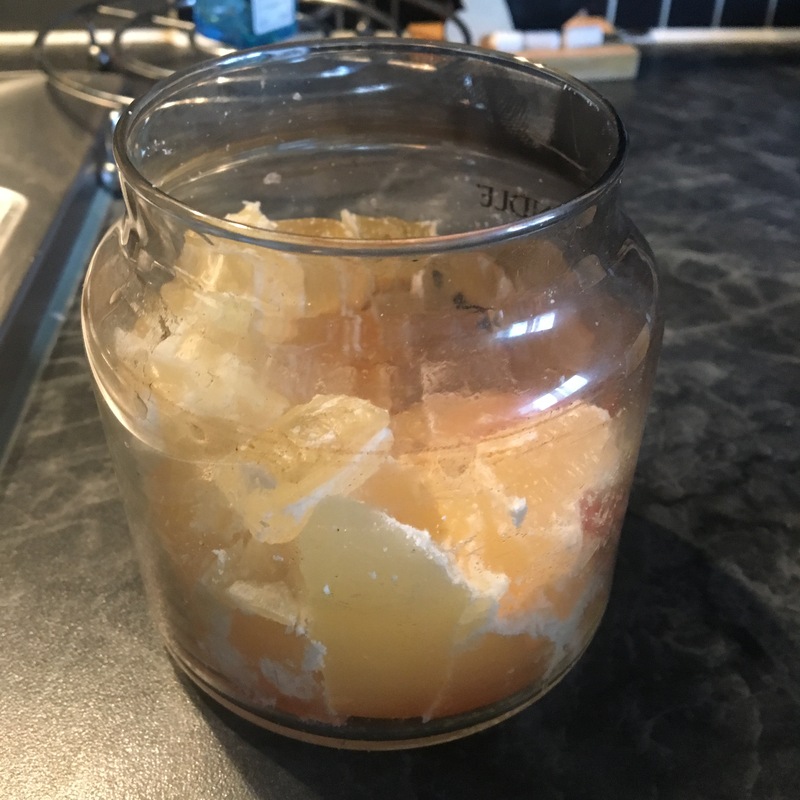 I then used an old sharp knife to cut up the wax inside the jar. I then got the container that I wanted to re-use. Mine was this silver metal one, which I had purchased from Next. I also purchased some wicks, which you can pick up online for £2-3 for a pack. 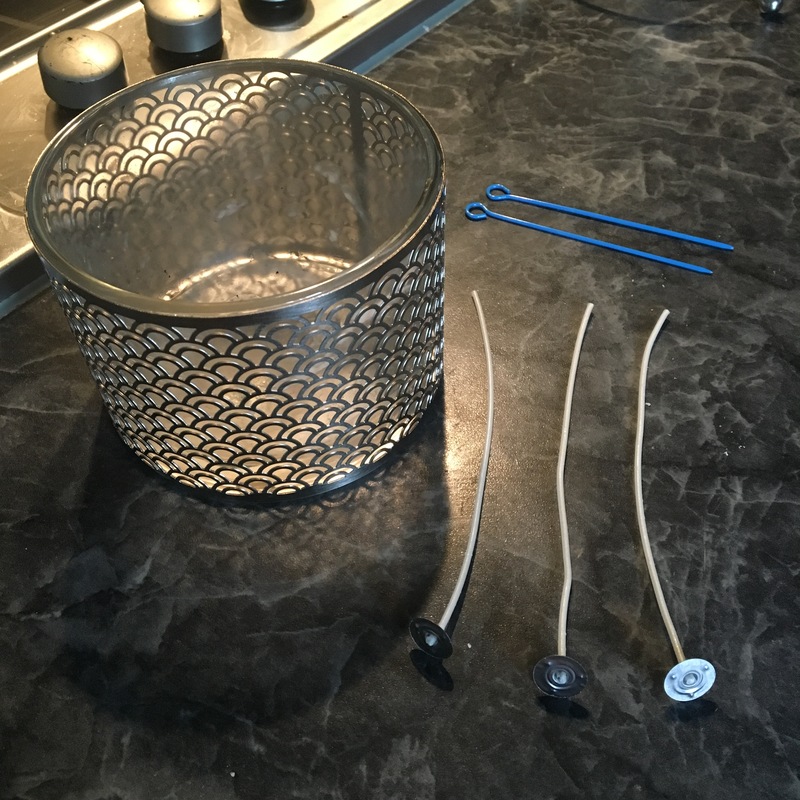 You will also need something to balance on the edge of the container to keep the wicks in place whilst the wax cools and hardens. You can use, wooden sticks,skewers or I purchased these cheap metal sticks. I then got an old saucepan which I am happy to get wax on, as it is very difficult to clean off after. I put it on a low heat and placed the wax inside to melt. You can fill the saucepan up with water, and then put your wax in a container over the top instead of putting directly into the pan. The candle wax will then melt down, to a liquid. Once this has melted, you will then need to get your wick. In my case, i used three. 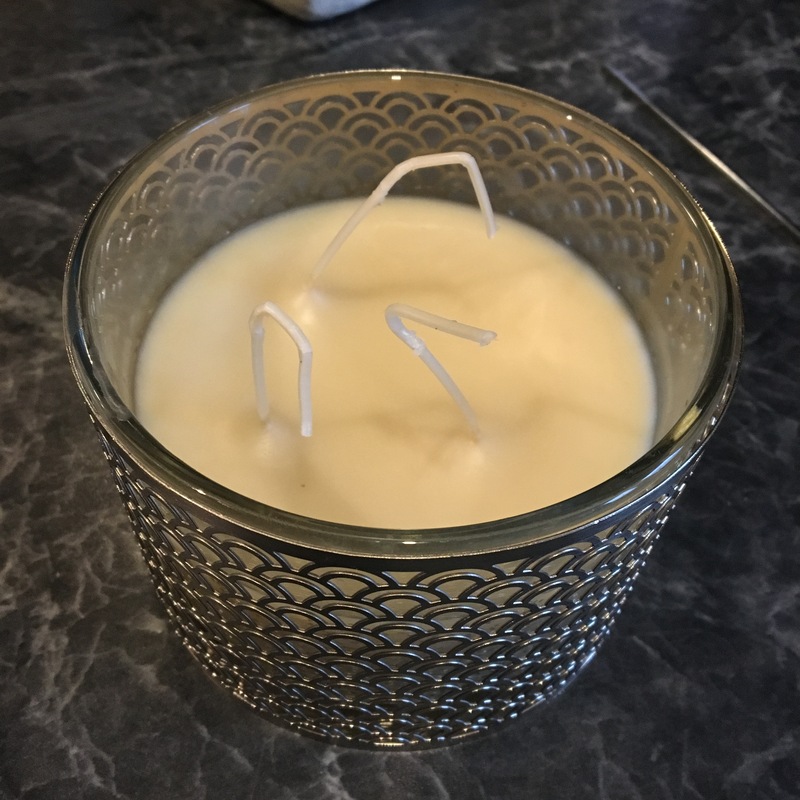 Place the wick inside the containter where you would like it to be and then wrap the end of the wick around a skewer or stick. Then you will need to rest the skewer over the top of the container so that it holds the wick in place. Once this is done, you can now pour your wax into the container. As you can see I have balanced the skewers on the edge and wrapped the end of the wick around it. This then needs to be left to cool down and set. Try not to move it about, as the wicks will move around and possibly fall into the melted wax. Once you have left this to cool. The candle will then look like a a new candle. You may need to cut down the wicks to size. 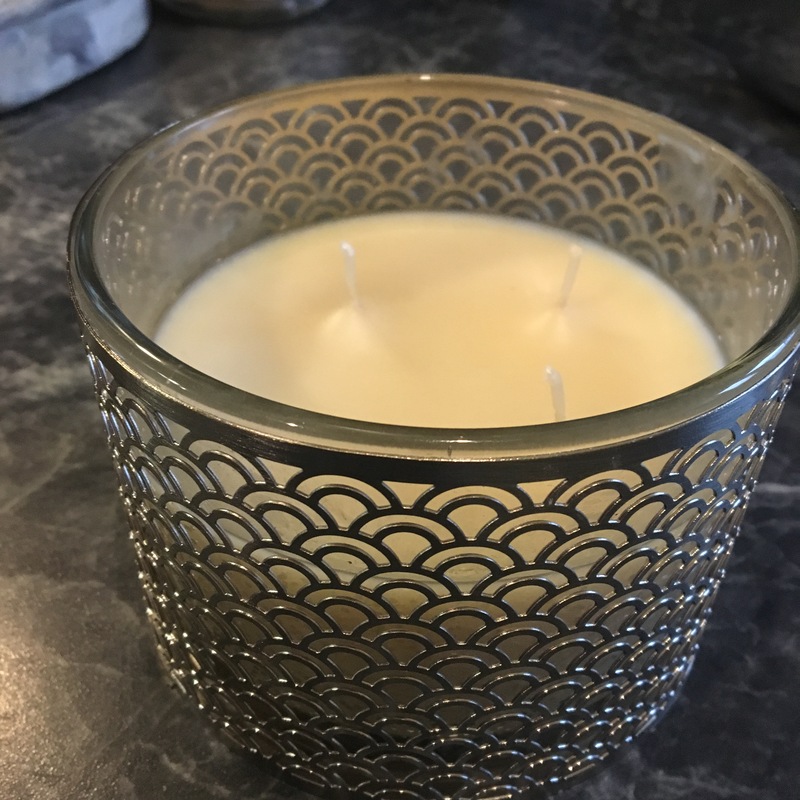 Then you have perfectly made your new candle! 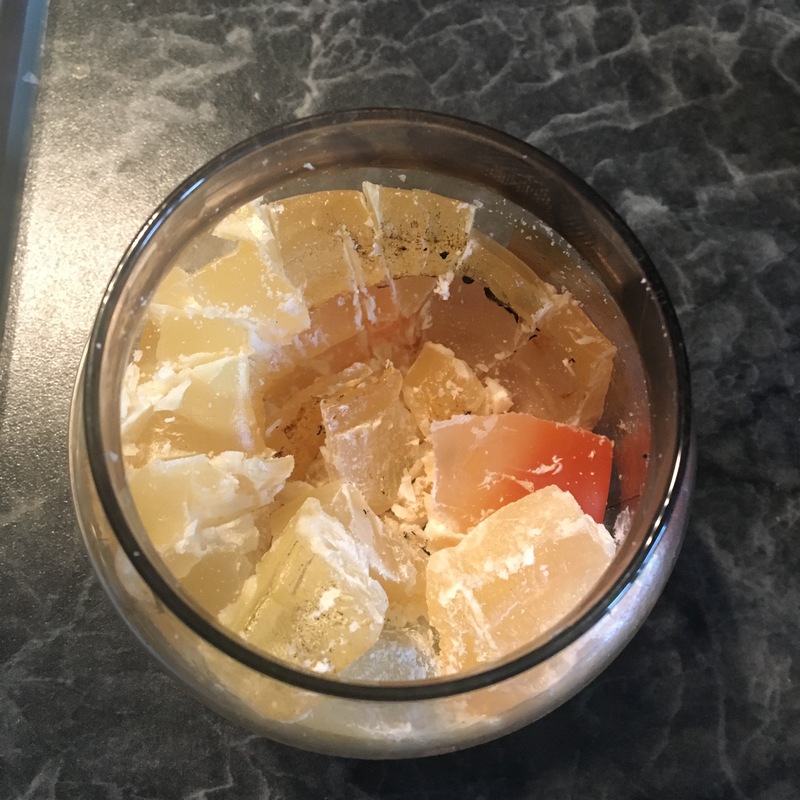 Not only have you re-used that container you loved, but you have recycled candle wax that was wasted and would have otherwise been thrown away. Light your candle, sit back and relax! Let me know if you give this a go!